Today our mini DT is showcasing the newest set from Becky Oehlers Stamps (through Gina K Designs)! The set is called "You Say Goodbye and I Say 'Ello" and it is beyond a-d-o-r-a-b-l-e! They are available on the Gina K website now in rubber or clear! And don't forget to get the cut files too if you have a Silhouette Cameo! How cute are these stamps!? For my second card I chose to use the little boy doxie. The look on his face made me think he was in trouble, so I had to put him in the doghouse! 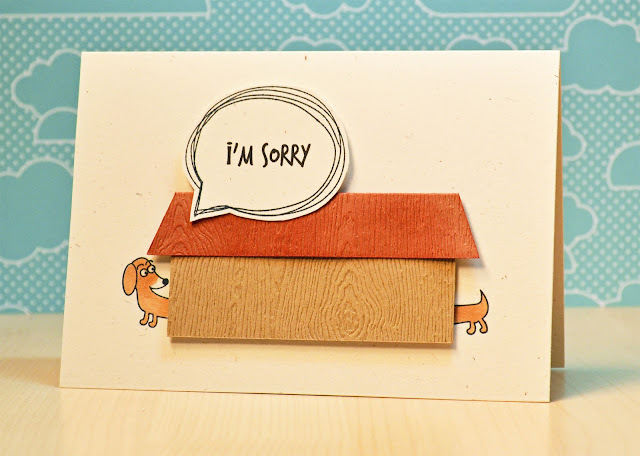 The doghouse allowed me to really stretch him out:) I printed off the sentiment and stamped the speech bubble around it. I love the way that Becky designed the speech bubbles with the hand-drawn lines. So unique! Thanks so much for stopping in! As always, it was fun to play with Becky's designs and I can't wait to see what she and the other DTer's have made! To see more "You Say Goodbye and I Say 'Ello" goodies, follow the links to visit Becky, Vera, and Latisha! i tried to comment from my iphone, no luck. I just had to come over here and let you know, I think your cards are SUPER cute! LOVE these adorable cards! What a set ;) I love the bitty greetings - and totally, good mornings = strong coffee. I'm drinking mine right now! I love that sunburst and the bright aqua pop - and omy, that doxie stretched out to fill the dog house? Too freaking cute!! Great cards JJ! LOVE that looooong doggie! Both cards couldn't be any CUTER! LOVE them!!! Love the stamps and LOVE the cards! That little dog is SO cute!!! Awesome cards!! I love the little dogs!! So cute!! 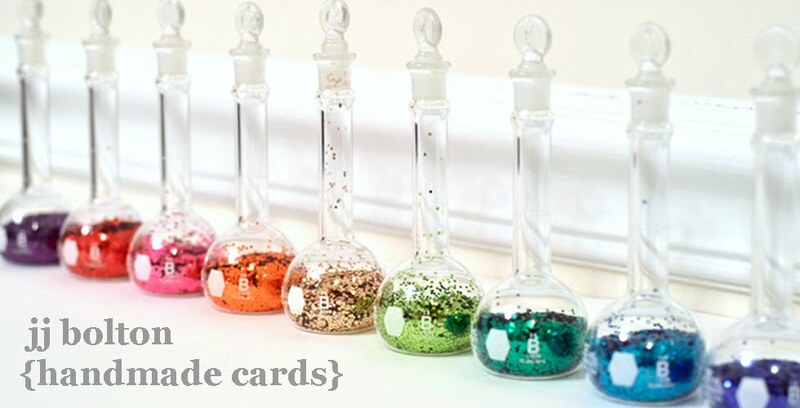 You're right--I think these stamps are super cute and so are the cards you made with them. LOVE!! I just LOVE this set! *sigh* LOL! TOO Fun! Your cards are so cute, JJ! Love, love that doggy sorry card! Too cute JJ! Love the rays of sun behind the cup of Joe, and that extra long dog made me smile! 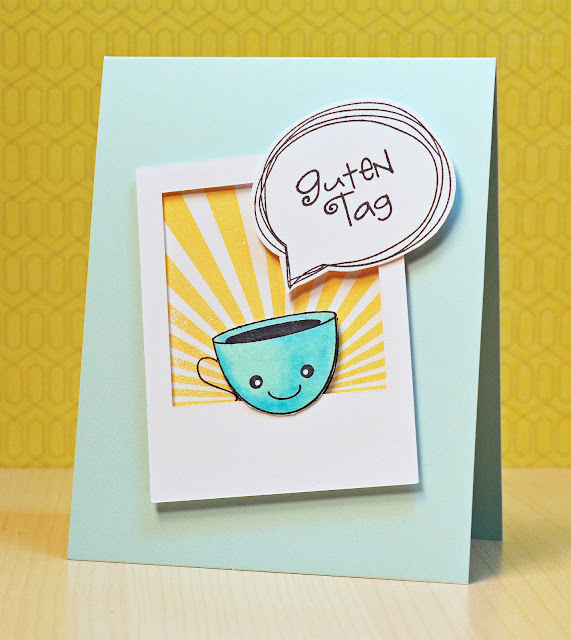 Amazing cards, I always am inspired by your clean, crisp and absolutely fabulous creations. Girl, you're on a roll! These cards are so awesome! So adorable and so silly! That doggie card just makes you laugh! So cute. I think your card are super cute too. I love all your cards but just love what you did with the mistletoe on the first one! !